It's been quite some time since we've seen the Nike Air Max Speed Turf on shelves, but Dan Marino's former playing shoe is due out in a plethora of colorways before year's end. 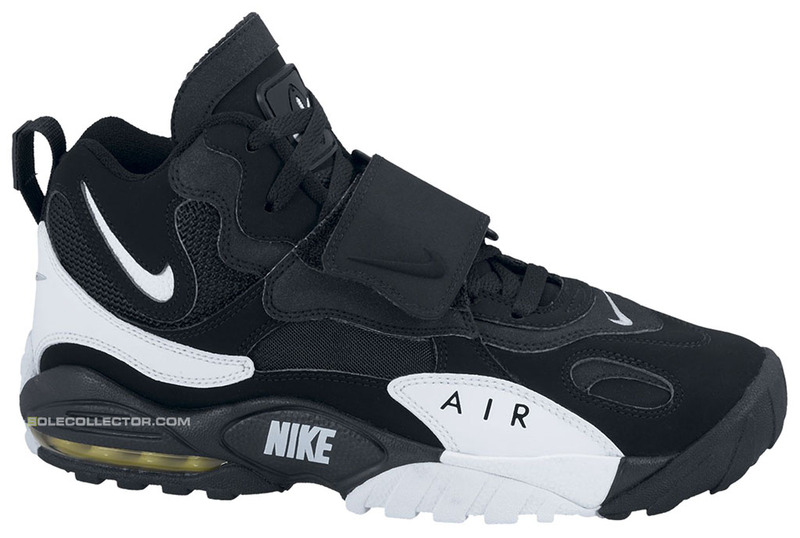 It's been quite some time since we've seen the Nike Air Max Speed Turf on shelves, but Dan Marino's former playing shoe is due out in a plethora of colorways before year's end. First up is a fairly simple black and white look, constructed of leather, nubuck, synthetic materials and mesh. Voltage Yellow peers through at the Max Air unit, while a black and white outsole caps off the look below. The Air Max Speed Turf in Black/White is set to hit stores on Saturday, July 21 for $135.